Scanova Blog > QR Code Topics > Generation > What should be the size of QR Codes on business cards? What should be the size of QR Codes on business cards? 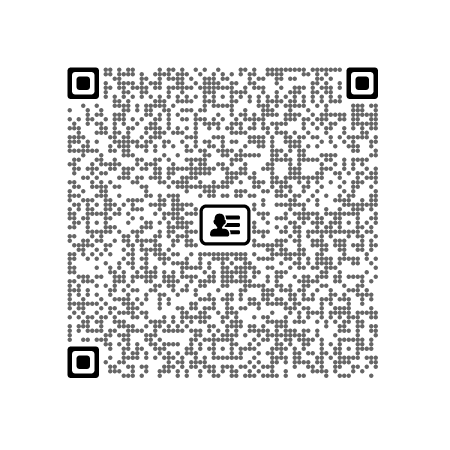 This piece is an extension to my previous post on the topic – QR Code Minimum Size: Easy Calculator. Static Vcard QR Code has been around for sometime. This QR Code encodes information such as name, phone number, email, address, company name, and title. Because it is a static code, the information is stored in the code itself. This increases the number of rows & columns of modules of data, decreasing the size of each module for a fixed size of the QR Code. Minimum size of a Static Vcard QR Code should be approx. 1.7 x 1.7 inches on a business card. 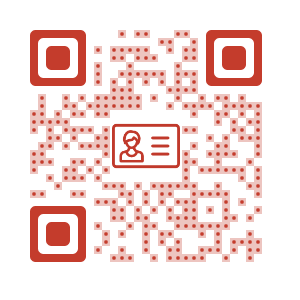 A Dynamic Vcard QR Code is a new and advanced version of the Static Vcard QR Code that allows you to create a personal mobile page with all your relevant contact details and photo. It also has an option to ‘Add you as a Contact’. 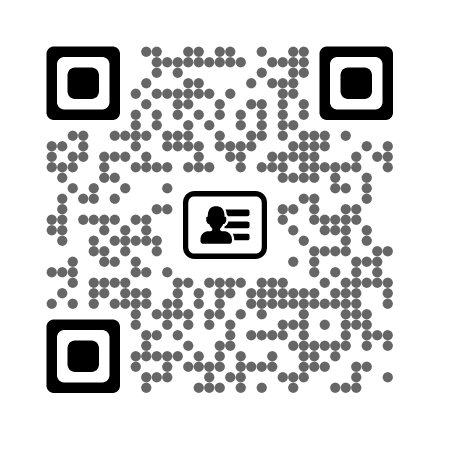 Whoever scans a Dynamic Vcard QR Code will be taken to this mobile page and view your contact information. The biggest advantage for you is that you can edit these details at anytime without the need to reprint the QR Code. 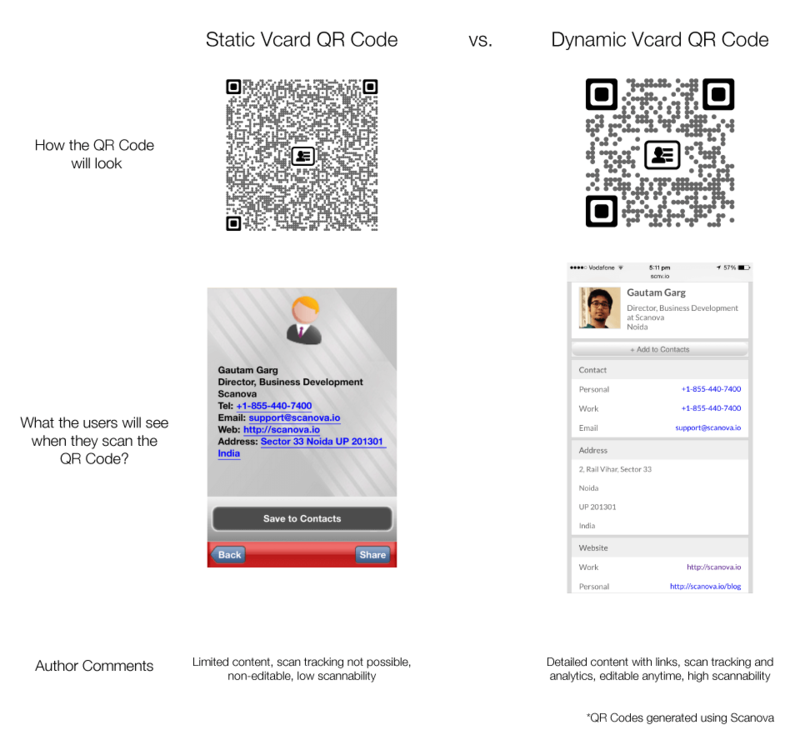 Since a Dynamic Vcard QR Code only contains a short URL, it will have approximately 33 rows and columns of data. That is less than half the rows & columns in Static Vcard QR Code. 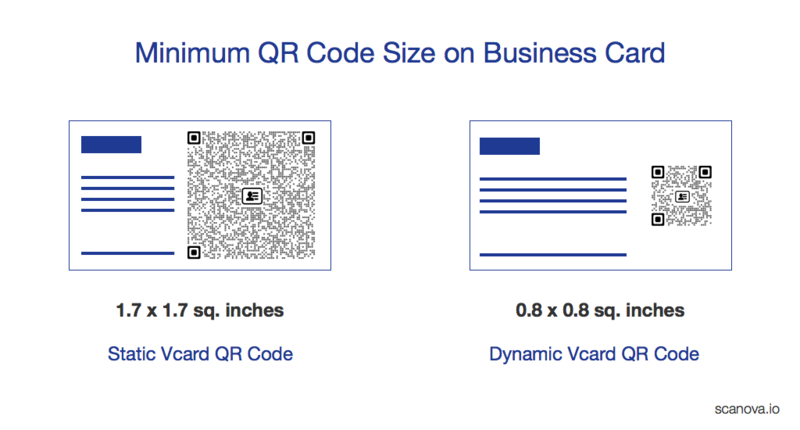 The minimum size of a Dynamic Vcard QR Code should be approx. 0.8 x 0.8 inches on a business card. Also read— what are various types of QR Codes one can create. But say you can allocate 1.7 x 1.7 inches area for your QR Code on your business card the size of each module will be fairly large for every scanning application to decode the QR Code.